The answer is that the investor eventually concludes that he just can’t see how the most important part of the process will occur. I refer of course to his exit from the company. It’s extremely important that you understand that investors don’t make money by giving you money or by waiting patiently for years as you spend it. They only make money if there’s a profitable exit. I’ll gladly pay you Tuesday for a hamburger today. That’s the key in equity-based deals: the exit or “liquidity event.” Typically the best exit is an IPO where the shareholders end up with free trading shares that can be sold at a high price. The next best exit scenario is an acquisition by a much larger company which can afford to pay top dollar for the company. Unfortunately, IPO and acquisition type exits are rare. This is because most entrepreneurs don’t have companies with the potential of achieving either of these liquidity events. No matter how great you deal maybe otherwise, if the investor doesn’t believe you can IPO or be acquired, he’ll pass on the deal because he doesn’t want his money locked into your company forever. 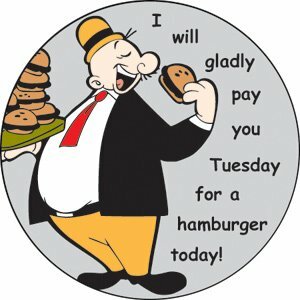 Many first-time entrepreneurs understand that investors are looking for deals with big pay-off exits, so when asked about them respond with a perfunctory and unconvincing, “Oh, we’ll either IPO or be acquired.” That’s when they sound like Wimpy with his half-hearted promises to pay for a hamburger today next Tuesday. Since the vast majority of companies will not achieve the success necessary to create the all-important liquidity event for investors with an IPO or acquisition, there has to be another way to enable capital extraction. That way is revenue-based financing or as it’s more commonly known: revenue royalty financing. In a nutshell, the Revenue Royalty Certificate (“RRC”) is basically a loan rather than equity investment. However, it’s a loan with a difference. Rather than having fixed monthly payments which must be made hell or high water, the RRC pays the loan back over time as percentage of its top line revenue. This means that the lender gets paid first. The typical royalty will be in the 1 to 5% range of monthly revenue. The dollar amount will go up and down with revenues. Where the confusion comes in about revenue-based financing is that often the company will throw in an equity kicker to the lender to sweeten the pot. This is done in the event that the company succeeds beyond all the initial expectations and does go public or is acquired by a Fortune 500 company that pays top dollar. Let me illustrate why the equity kicker is added as the “icing on the cake.” Just imagine of you had been Google’s first backer and used an RRC. If I recall correctly the first funding round was $100K. Under an RRC, the lender might have received back $200K 0r $300K over several years. Now imagine how bitter he would have been to see the company succeed so wildly, go public, and then continue onto to become the Internet’s dominant force. That’s why you often add the icing to the cake. To sum up, revenue-based funding solves the exit or liquidity problem for companies that are expected to be, in baseball parlance, singles, doubles, or even triples, but not home-runs. Revenue-based financing structures, such as RRCs, can be helpful in closing investors who are dragging their heels because they don’t see how they will extricate their principal and profit from an investment. I’ll be writing some more on RRCs to fund startup and expansion. This is all well and good but the devil is in the details. How much will it cost for a lawyer to write this up? lawyer and if you pull out the same applies. I would think it makes more sense to have the entrepreneur provide a draft for review by the investors lawyer rather than having him write it from scratch. Both sides can save a lot of money that way. I’ve always made it a priority to not spend carelessly on legal fees. One tactic that I have used successfully for decades is to collect and save various types of agreements. When doing a deal that requires a signed agreement I find one that approximates what the other party and I have agreed to in principle. I then make the required changes and run it past the other party. If we both like it then it goes to our lawyers for a final vetting. Most lawyers haven’t a clue about how a revenue royalty certificate works, so I would not be willing to pay them $2000 to $3000 to learn on the job–and possible still get it wrong. I like that idea. An ounce of prevention equals a pound of cure or something like that. Just goes to show that you can recycle pretty much anything including legal dicuments. Any lawyers reading this will hate us. I agree, Revenue Based Financing makes sense for all start up’s. Instead of inventing something and then find a market, you find a perfect solution to a nagging problem that makes the large customer is staying awake at night. If you have a strong customer willing to buy at a profit, you can get debt. If you have a Moody’s Investment Grade corporate or governmental customer, who wants the deal done, you should not need much equity. 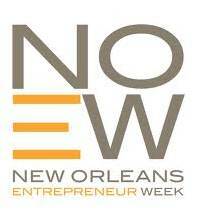 We finance up to 100% of start up projects needing more than $20 million for 5-20 years. We prefer to structure long term loans based upon the Investment Grade customer’s promise to pay (Take or Pay agreements). If you think about it, if your relationship with your customer is strong, the lender (and you) will get paid on time. Investment grade companies are a better credit risk than start-up companies, as well. If you have a hostile (or short term, auction-based) relationship with your customers, it is a lot riskier to invest or lend. I offer a basic how-to on creating a revenue royalty certificates. You can save money by using this but you will still need a lawyer to do a final review before submitting it to an investor. This is a pretty smart idea for funding startups and small business growth. Existing businesses with in the one to ten million dollar range in annual revenues typically have a reliable track record of earnings, they know their market well, and they know exactly how much funding they need to build their infrastructure to serve a larger client base. With many online and technolofy and software companies there is insufficient collateral to secure a bank loan. Furthermore, as you say, there is no “big exit” for investors to make their money. So these businesses have nowhere to turn but revenue based financing. Thank you letting people know about this. I can see how this is the way to go if your company is unlikely to attract equity investors and lacks the hard assets traditional loans require as collateral. This is a great way to open the capital makrkets up again to small business and start-ups. You’ve got me interested after reading all your posts and pages in revenue financing. I can see this working with the investors we have been talking to for a few months now. What I need to know is what is in the package you sell? Can you be specific? You get a detailed explanation of how deal-makers construct deals. 34 pages It explains the economic logic of deals. You get a spreadsheet that shows you how RRCs work. You get a sample RRC agreement which you need to customize for your needs. It looks great. This will help. Thank you all for interesting and insightful comments. Since investors frequently use hopefuls simply for research – i.e.pretend to be interested but simply mine the entrepreneur for information in order as to use what they learn to benefit some other project, an NDA prior to presentation is a great idea. After all, a business plan is not that far removed from a patent – if the idea is snatched up by someone else before you can realize it – you’re too late. Unfortunately, investors are often spooked by requests to sign anything BEFORE full presentation & disclosure, i.e. just after reading the exec. summary and even if you do get them to sign, the Agreement would be worthless as the only thing they would sign is a vague promise not to make an exact replica of your project, no one will sign that they will not steal the good bits. So, what can entrepreneurs do to avoid offending/irritating honest investors, but on the other hand not leave themselves open to a shark attack? imo perform a due diligence on the investor you are thinking of contacting BEFORE contacting him. Only contact serious people who’re specialized you your industry and ALWAYS a) show how the core team possesses indispensable skills to the success of the project b) keep an ace up your sleeve – don’t give away the full operating secrets until the investor commits. Rather, focus on what concerns the investor most – self-sustainability and exit. I need start up capital for a coffee shop franchise. I have a coffee roasting business and want to open coffee shops in the Detroit area for my Java Hope Project (a social venture – 501c). As you know, Detroit is growing exponentially right now. Real estate is still cheap and it is the right time to open and grow a business. Would you be interested in this business model? I have over 20 years experience in the coffee industry. Very interesting. I created a similar product back in 1999 at a fund I worked at and it worked very well for start-up companies. We called it an Income Participation Loan, but similar idea. It’s not very expensive to paper – we actually went into the market and sold it to a company first and then went to a lawyer and, in essence, said – now what? But, no point in spending money on lawyers before you have a sale. Ours is a trading company based in India. Most of our issues are with finances, credit cycle & WC requirements. This idea appeals to us. Thanks.